Cost: Starters range from £4.50 to £13, sashimi from £11 to £17.50, and sushi is offered individually, and ‘omakaze’ or chef selection platters ranging from £23 to £60. Cocktails are priced from £8.50 to £12. Entry level wines start from £25 for a Picpoul de Pinet or £22 for a Chilean Merlot. There is a good selection of fine wines with even finer prices. About: Just a stone's throw from both Buckingham Palace and Victoria station, this restaurant opened in November 2014, with Chef Kyoichi Kai (formerly of Zuma and the Arts Club) heading the kitchen. The restaurant claims to have all-Japanese kitchen staff, but walking past the basement kitchen I could not help but notice a lot of westerners working alongside the Japanese. Not that I mind, but it seems an odd claim to make if it isn't correct. Housed in a grand historical grade-II listed building dating from the 1850s, the restaurant has an impressive entrance with a massive chandelier, and a glamorous cocktail bar. It has a Japanese-style simplicity to the design, with dark slate floors, top quality but unstained and unvarnished tables, and restrained cream and grey fabrics for the blinds, benches and chairs, with a few prominent displays of orchids. What We Ate: From the ‘New Stream Sashimi’ section, we ordered the lime-cured seabass with a green pepper salsa (£13.00) - this was a stunningly presented dish decorated with micro herbs, chervil and pink peppercorns and served with semi-dried cherry tomatoes which worked surprisingly well with the fish. Although I could not taste much lime-curing in the seabass, the dish was very well balanced and one I would definitely order again. Also from the 'New Stream Sashimi' section, we had the beef fillet tataki (£17.50) - this was a seared fillet cut into fine slices and served with a sauce of soy sauce, mirin and sake, and a generous serving of julienne salad. In fact the serving of salad was so generous that visually it rather obscured the beef. I enjoyed this dish though - the flavours were fresh and the meat was tender and of good quality. For mains, we had two items from the charcoal grill selection – the lamb chops with spicy miso and the beef fillet. The lamb chops with spicy miso (£12.00), was probably the best dish of the evening and at that price, incredibly good value too. 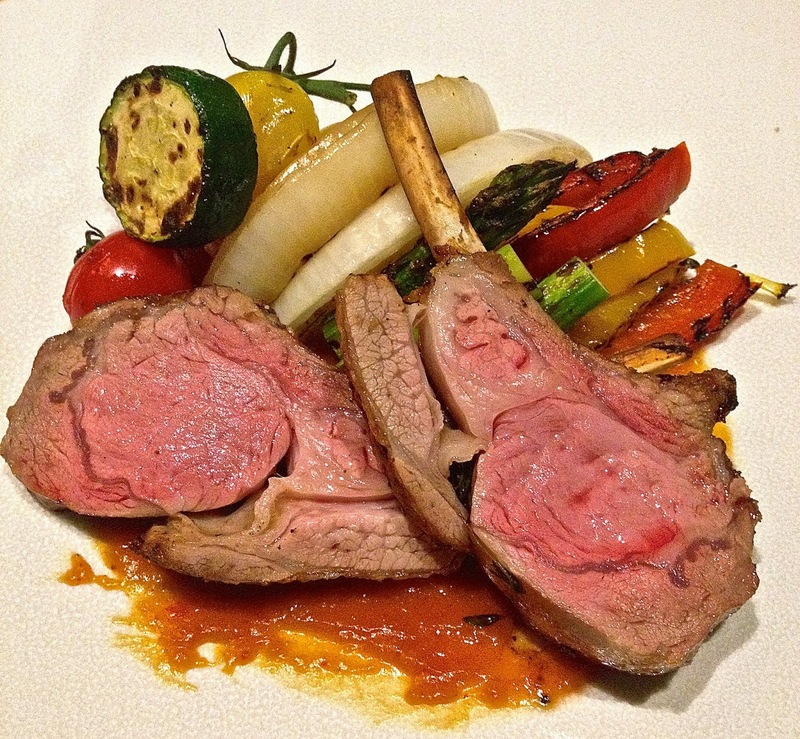 There were two perfectly cooked lamb chops, pink and succulent, served alongside a gorgeous selection of char-grilled vegetables including courgettes, tomatoes, peppers and onion. The spicy miso was a great accompanying sauce with a lot of umami flavour and just the right amount of heat, complimenting the meat and the vegetables without overpowering them. We also had a 200g beef fillet (£31) that came with a choice two of sauces – an European red wine sauce or a citrus Japanese ponzu dressing served with yuzu kosho (a condiment made from yuzu peel, chillies and salt) - we opted for the latter. 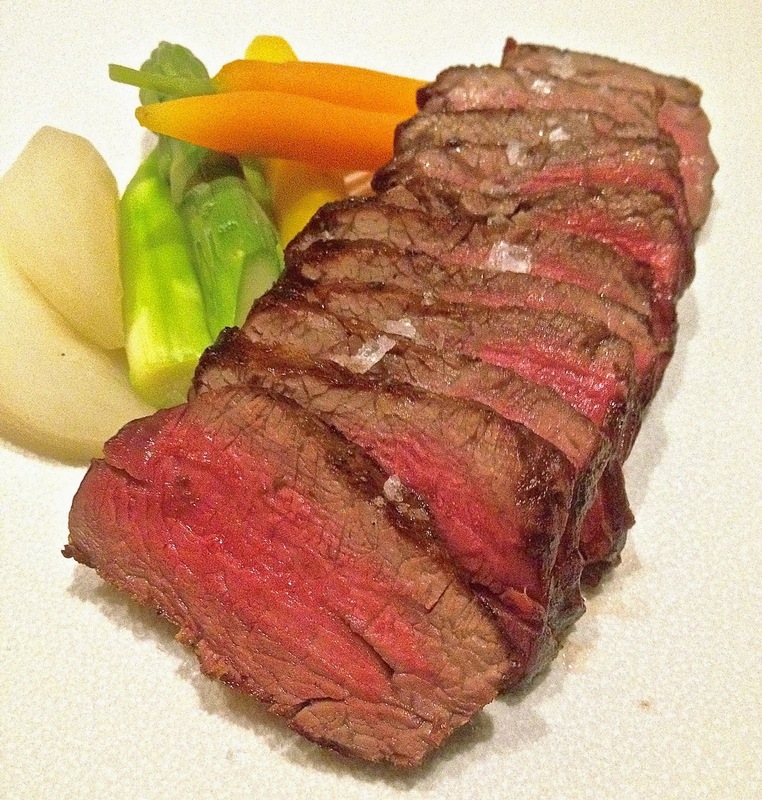 Like the tataki starter, the beef was of excellent quality, well cooked, and delicious. My only criticism with it was that rather than being served with yuzu kosho as an accompaniment, I was given a spicy oroshi (a mixture of grated daikon radish and chillies). To accompany our mains, from the small dish and salad menu, we chose the assorted mushroom salad (£11). This was truly impressive and included a selection of four different mushrooms - eringi, shimeji, shiitake and oyster mushrooms - as well as pine nuts, walnuts, radicchio and green salad leaves dressed with ponzu sauce. We also ordered a selection of tempura, including prawn (£7.50 for 2), along with aubergine, eringi mushroom and asparagus, but sadly it never arrived. As is customary in Japanese restaurants, a ‘shime’ (normally rice and miso soup) is served to end a meal. To that effect, we were served a chef’s platter of sushi including a maki roll and some nigiri. 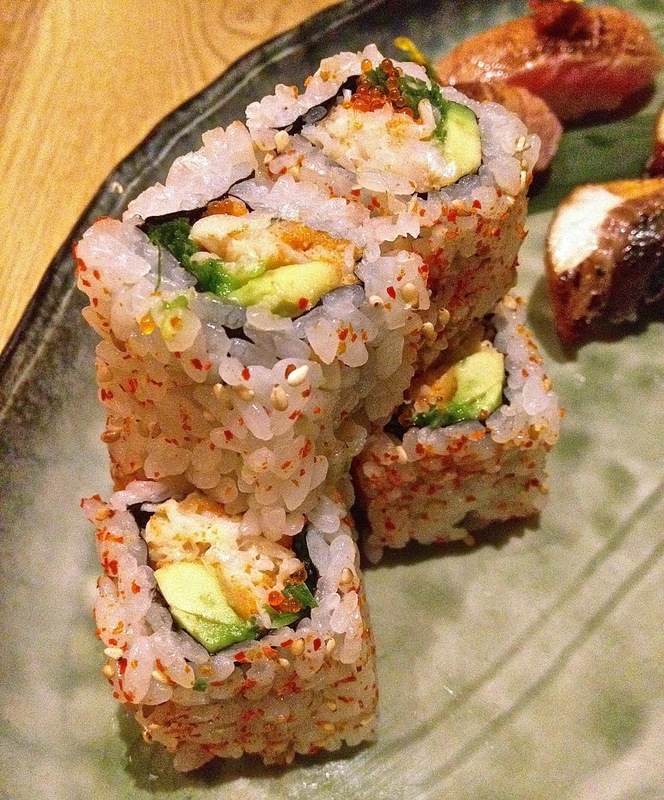 The spicy California roll (£8), made from crab, avocado, cucumber, flying fish roe, and spicy mayonnaise was superbly made with a very fine layer of sushi rice rolled in shichimi pepper for the spicy heat. The nigiri sushi were unagi eel (£4 each), and chu-toro (tuna belly), priced at £6.50 each. These were exquisite, but sadly quite steeply priced. With our selection of sushi, we had three slices of yellowtail sashimi, served in a covered glass bowl (£11). Delicious though it was, again we felt this was not great value for money. For dessert, we opted for the Tart au Mont Blanc with rum and raisin ice cream (£9.50). 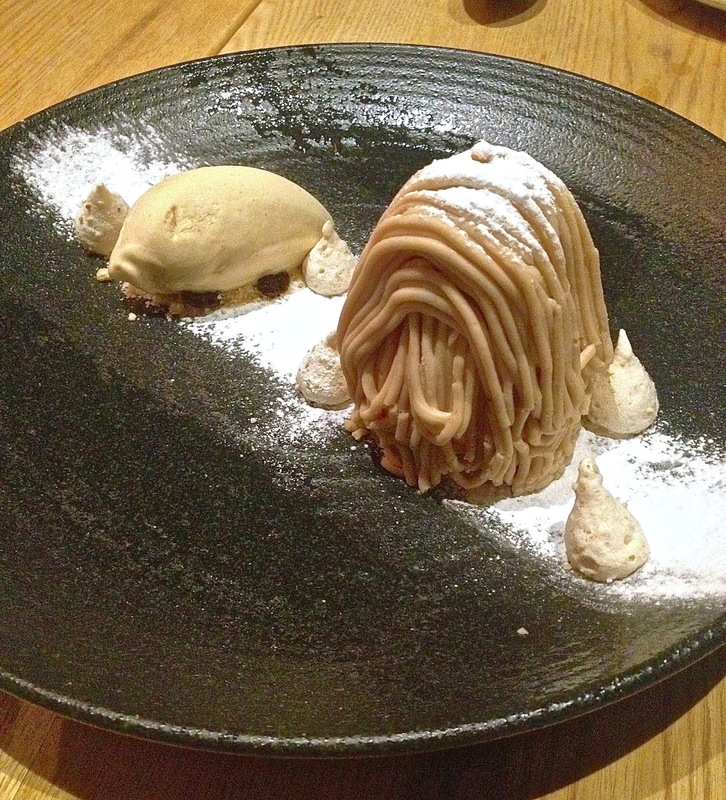 It may come as a surprise to those who have not visited Japan, but Tart au Mont Blanc is a very popular dessert there. The version on offer at Kouzu reminded me very much of examples I ate in Tokyo, and was superb. 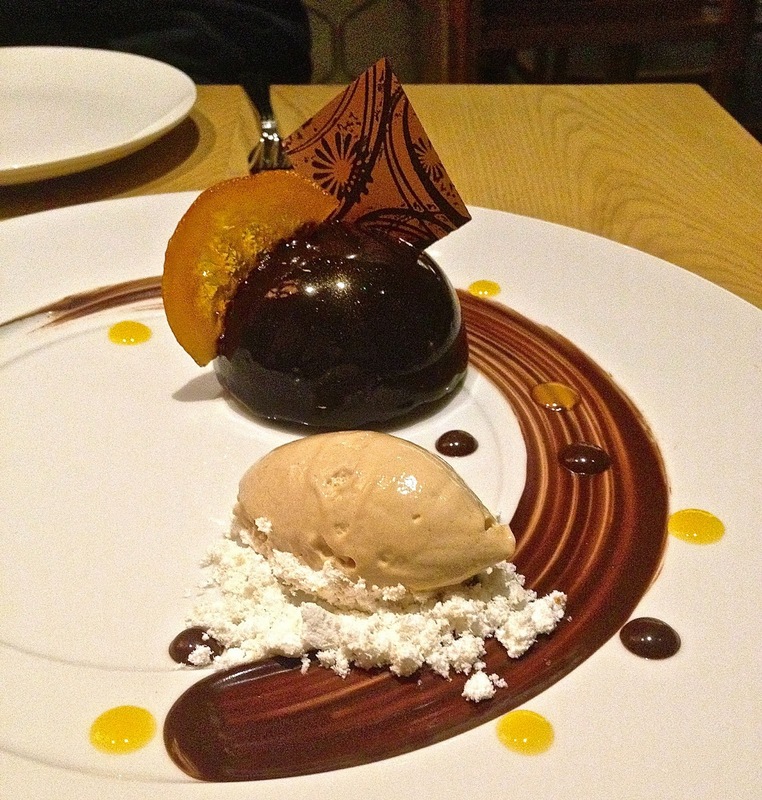 We also had the dark chocolate mousse and apricot brandy sauce with hazelnut ice cream (£10.50), which again showed real patisserie artistry at Kouzu. What We Drank: We started with couple of cocktails - the Yuzutini (£9), was a delicious variation on a familiar theme with intense citrus notes from Yuzu-shu (yuzu-infused shochu), Russian vodka and lemon. 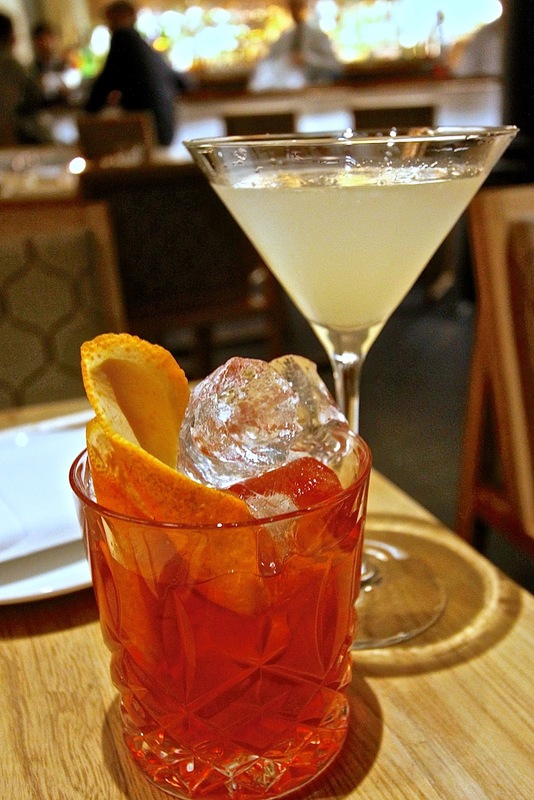 The Smoky Negroni (£11.50) was strong and well made from 12-year old Bowmore whisky, along with Campari, ume-shu (plum liqueur) and orange peel. I liked this Negroni although I felt that the whisky was too overpowering a spirit and I would have preferred it with gin. 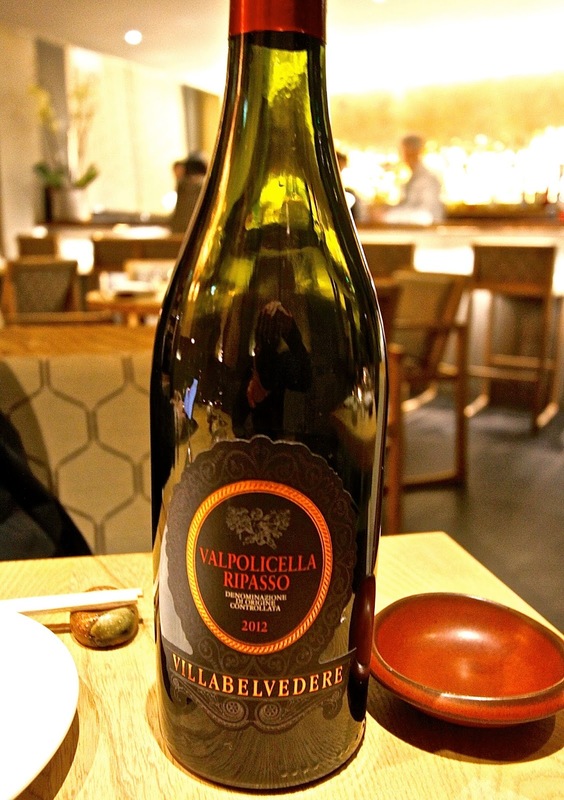 To accompany our dishes, we opted for a bottle of Masi Valpolicella Classico Ripasso (£30). This was a straightforward wine, with vibrant red cherry notes on the nose and palate. A light, fruit-driven wine, it had very little tannin or complexity, but was very drinkable. 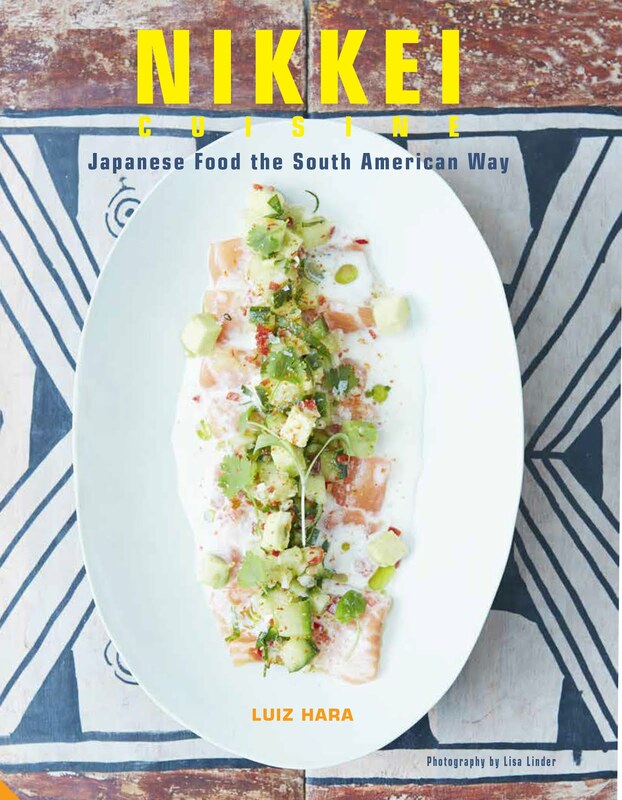 Likes: A perfect meal at Kouzu would start with one of the ‘New Stream’ sashimi dishes like the sea bass, followed by the wonderful lamb chops in spicy miso, ending with the delicious Mont Blanc dessert. Dislikes: There is a night-club style background music, which seems a little out of place in a restaurant of this quality. 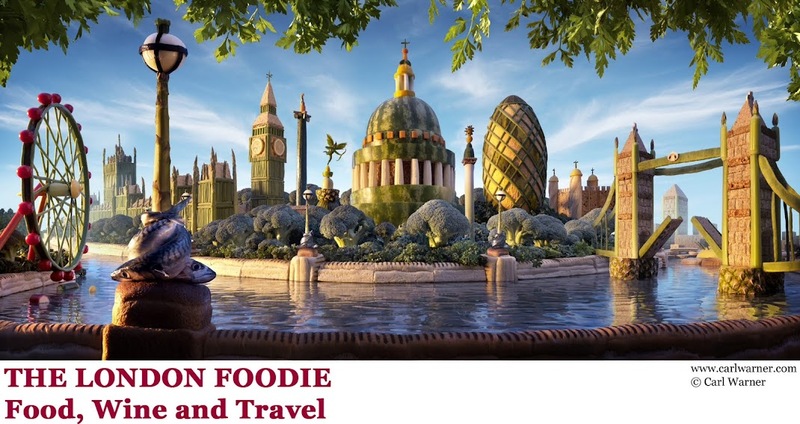 The food is very good, but while the waiting staff are polite and attentive, they seem to understand rather little about the food they serve, but these were early days for the restaurant. They also, annoyingly, forgot to bring our tempura. Not all the dishes were served as described on the menu (grated radish instead of yuzu-kosho condiment). Verdict: Great Japanese-European cooking with some inventive ‘New Stream’ sushi and sashimi on offer and fine patisserie. 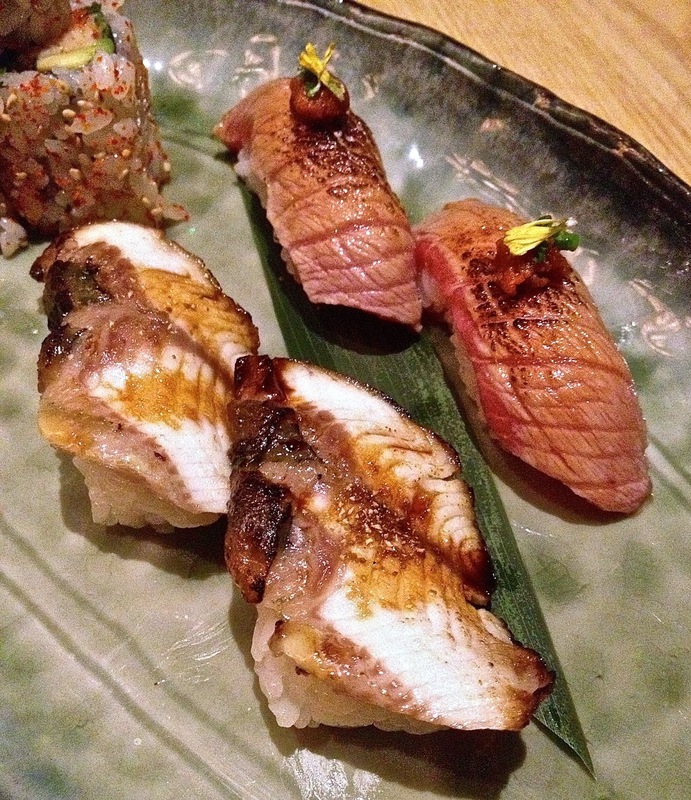 Well-conceived, Kouzu is a new Japanese restaurant in Central London to be reckoned with. Recommended.